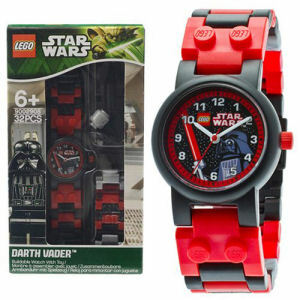 We have Just Sold out of LEGO Star Wars Darth Vader Link Watch. This Item is unavailable at present. From the Star Wars collection by Schylling. LEGO Star Wars Darth Vader Link Watch. Take Darth Vader on the go with the interchangable link pieces included with this watch. Watch measures about 5.75 inches long by 3.75 inches wide. Schylling Star Wars Attire shipping from Canada. No Surprise Border fees or Customs!